The relevant governing law for Cyprus entities is the Cyprus Companies Law Cap 113 based on England’s 1948 Company Act. The type of Cyprus Company mostly used is the limited liability company or ‘Ltd company’ whereby the liability of the beneficiaries of the company is limited to the amount, if any, unpaid on their respective shares, in other words the liability of the members is limited up to the amount contributed to the capital of the company. -A list of 3-4 company names as different from each other and as unusual as possible in order to avoid any refusal for similarity with existing company names from the Registrar of Companies. It takes 3 to 4 days for the approval of the company name at the Registrar. -Scanned and notarized copy of the passport of the directors and beneficiary shareholders. -Scanned copy of a recent (not older than 3 months) utility bill, i.e. electricity bill, being proof of residence of the beneficiary shareholders and in the event the beneficiary is a company the same should be provided for its ultimate beneficiaries together with copies of all the corporate documents of the beneficiary company. -In order for the Cyprus Company to secure tax residency in Cyprus and benefit from the 10% corporate tax & network of Double Tax Treaties, the management & control of the company must be in Cyprus, in other words the majority of directors must be residents of Cyprus and contracts & agreements must be signed by the directors in Cyprus, therefore resident ‘nominee’ directors are necessary unless the client is a Cyprus resident. -Directors can be of any nationality and can be an individual or a company. -Confidentiality can be secured with a resident ‘nominee’ shareholder, usually a company belonging to the Law Firm which will hold in trust the shares of the company on behalf of the client who in return receives a Trust Deed as proof of ownership. -In the event ‘nominee’ directors and/or shareholders are used, the beneficiary owner must sign & return to us Nominee Agreements & Deed of Indemnity attesting the company shall not deal in any illegal matters and exempting our Law Firm of any responsibility for the actions of the beneficiaries as the main purpose of cooperating with and providing nominees services to clients is to secure tax residency & confidentiality. -Share Capital requirement is only €1,000 and does not need to be paid-up, value per share starts from euro 0, 01 and there is a permanent 0, 6% stamp duty on the authorized share capital. -A Cypriot company must appoint a company secretary. 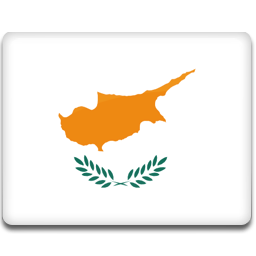 -All Cypriot entities must have a registered office that is provided by our office. -A substantial description of the intended activities should be provided and in the event the only activity of the Cyprus Company is to be holding shares, a description of the activities of the subsidiaries should be provided. -The beneficiary will receive the Memorandum & Articles of Association of the Company, Certificates of incorporation, registered address, directors & secretary, shareholders, the ‘Trust deed’ attesting that he is the real legal owner of the Company in the event a ‘nominee’ shareholder is used, and the Nominee Agreements & Letter of Indemnity to sign and return in the event ‘nominees’ are provided. -Company documents are provided with apostil. -About a week to incorporate the company, once the company name has been approved and all information & documentation has been received. -The corporate documents of the Cyprus Company will be sent via express courier (DHL) to the client together with the relevant invoice. Banking documents and Nominee Agreements & Deed of Indemnity to be signed and returned to our Law Firm will be added to the courier in the event the client has requested the opening of a bank account and nominee directors and/or shareholders for confidentiality. -Annual representation fees: for the provision of registered address,secretary, resident ‘nominee’ directors, resident ‘nominee’ shareholder : the first annual representation fee is paid in advance together with the registration fee.Annual representation fees include basic legal and taxation advice. -Accounting & Audit fees: our Law Firm cooperates with reliable accounting firms with an average annual fee of euro 1500 +19%VAT as well as with the big accounting firms, i.e.PWC, KPMG,etc., which have higher annual fees. -VAT & VIES : there are monthly fees and obligations to report. -Bank account : procedure for opening the bank account (unless the client does it himself). The Law Firm provides for Tax Planning advice to clients wishing to optimise their international business activities. Cyprus is the European country with the most favourable tax system and has a wide network of Double Tax Treaties. The legislation effective since January 2003 has abolished the distinction between local companies and International Business Companies (IBC) and created one form of Cyprus Company. An individual is resident if he lives in Cyprus for one or more periods which exceed the total of 183 days per fiscal year. Residents are subject to tax in Cyprus on their worldwide income, whilst non-residents are subject to tax only on their income derived in Cyprus. A company is resident if its management and control is in Cyprus, which in practical terms means that the company must have a majority of Cyprus resident directors. All Cypriot companies pay corporate tax except shipping companies which pay tonnage tax. The corporate tax rate is 12.5% except for royalties. As per January 1st 2012, royalties are exempt from corporate tax for up to 80% with the remaining 20% being subject to 12.5% corporate tax, thus giving an effective intellectual property tax rate of 2.5%. The 80% exemption on profits arising from intellectual property assets applies after deduction of all direct expenses including amortisation on the cost of acquisition of IP assets and interest expenses to finance the acquisition and/or development of the IP assets. IP assets include all intangible assets, copyrights, patents and trademarks. A fixed annual levy of € 350 applies to all companies including dormant (non active) companies and companies that do not own any assets or own property not controlled by the Republic of Cyprus. The first levy is imposed on the year of incorporation of the company. The non-payment of the annual levy will result in de-registration or strike off the company from the Cyprus Registrar of Companies. Where a company is re-instated in the Registrar within 2 years from de-registration or strike off date, an additional fixed penalty of € 500 will be imposed. Where a company is re-instated in the Registrar after the 2 year period, the fixed annual levy will be increased up to € 750. -In case of delay up to 2 months, 10% penalty. -In case of delay from 2 to 5 months, 30% penalty. Dividend income received in Cyprus from a foreign corporation is wholly exempt from corporation tax in Cyprus and not subject to Special Defense Contribution Tax of 17% as long as the company receiving the dividend owns shares in the company paying the dividend, even if the shareholding is less than 1%. However, this does not apply if more than 50% of the paying company’s activities result in investment income (passive income such as interest from companies,bank accounts,royalties which does not derive from trading, commercial, manufacturing or similar activities) and the foreign tax is significantly lower than the tax rate payable in Cyprus in other words less than 5%. Furthermore, dividends are not considered investment income if derived from trading subsidiaries. Under Cyprus law, dividends should be distributed every two years. If a Cyprus resident company does not distribute dividends within two years from the end of the tax year, 70% of accounting profits are deemed to have been distributed, 17% special contribution for defence is imposed on deemed dividend distribution applicable to residents shareholders, deemed distribution is reduce with payments of actual dividends which have already been paid during the two years from the profits of the relevant year, and when an actual dividend is paid after the deemed dividend distribution, then special contribution for defence is imposed only on the additional dividend paid. Active Interest acquired from the usual activities of the company (such as interest on trading, current accounts, debtors, finance, banking, inter-company finance) is subject to income tax at 12.5%. Passive Interest not acquired from the usual activities of the company credited or received by Cyprus residents (such as interest paid on bank deposits) is subject to Special Defence Contribution Tax of 30%. Interest income from savings bonds and development bonds and all interest earned by a provident fund is subject to special contribution for defence at 3%. The application of Special contribution for defence to Dividend Income and Interest Income is described the above two paragraphs. Most companies are not affected by SDC but income tax. There is no withholding tax on payment of dividends, interest to non-resident individuals or corporations, irrespective of the existence of a Double Tax Treaty or of the country of residence of the recipient. The same applies to royalties as long as the license has been granted for use outside Cyprus, otherwise there is a 12.5% tax. Profits earned from a permanent establishment abroad are fully exempt from corporation tax, except if more than 50% of the paying company’s activities result in investment income and the foreign tax is significantly lower (by at least 5%) than the 12.5% tax rate payable in Cyprus. There is no taxation on the profits from the disposal /sale of securities for all the companies and individuals that are tax residents of Cyprus irrespective of whether the gain is of capital or revenue. It allows the Cyprus Holding Company to dispose of the shares in a subsidiary with no tax in Cyprus, and allows the disposal of shares of a Cyprus Holding Company with no tax in Cyprus irrespective of the provisions of a relevant Double Tax Treaty. According to the new Law 118(1)2002 which applies since January 1rst 2003, securities also known as Titles include shares, debentures, government bonds, founder’s shares or other securities of companies or other legal entities incorporated in Cyprus or abroad and stock options thereon.It allows 0% tax on profits made from the sale of shares bought before or after 1/1/2003 from another company abroad, with the sale of the shares taking place after 1/1/2003, and without affecting the value of shares.Finally, a ruling in Cyprus is possible in order to determine whether an instrument qualifies under the law as Security or Title. Capital gains realized on immovable property held outside Cyprus are outside the scope of capital gains tax. A capital gain realized on immovable property held in Cyprus is 20%. The full capital gains tax exemption on profits from the disposal of securities does not apply to the disposal of shares of a Cyprus company owning immovable property, the sale of the property and the disposal of the shares being subject to 20% Capital Gains Tax. The arm’s length rule does not apply on transactions between a Cyprus parent company and its directly 100% owned Cyprus resident subsidiary. Trading losses may no longer be carried forward indefinitely; unutilized losses will be extinguished after five years. Its application in Cyprus abolishes withholding taxes upon the subsidiary for dividends paid to its mother Company resident in any member state, as long as the mother Company has its tax residence in a member state and possesses 10% or more of the shareholding of its subsidiary for any period of time (the original EU Directive implies 25% and a time period of a few years). The “Interest and Royalty Directive”, which provides for exemption from withholding tax over interest- and royalty payments between certain affiliated EU-companies. Companies are considered to be affiliated in this sense if one of the companies at the minimum holds 25% of the share capital in the other company or if a third company at least holds 25% of the share capital in each of the two companies (or, upon discretion of the Member States, 25% of the voting rights). Considering its low (12.5%) corporate income tax rate (which is one of the lowest in the EU), the availability of this Directive and the availability of a significant number of double tax treaties, Cyprus is an interesting jurisdiction for setting up a (group) finance company or (group) licensing company within the EU and/or outside the EU. Additional advantage of licensing via Cyprus is the afore-mentioned possibility to obtain tax exemption for the gain upon the sale of the IP used for the licensing activities.There is no withholding tax in Cyprus over interest payments to non-resident creditors, nor is there (as mentioned) withholding tax due over royalty payments in case the license has been granted for use outside Cyprus. The EU-Directives and Cyprus’ double tax treaties in many cases provide for substantial reduction or even elimination of withholding tax over the interest and royalty payments to the Cyprus finance- or license-company. In Cyprus, there are broad possibilities for the credit of any foreign withholding tax still payable over the interest- and royalty payments against Cyprus tax due over the corresponding income. In practice this means that a tax credit is given in Cyprus on any tax including Special Defence Contribution Tax and Income Tax for any tax paid in the foreign state jurisdiction including underlying local trade tax paid by the subsidiary company or withholding tax on outgoing dividends to Cyprus. Group relief provisions allow companies of the same group to transfer losses from the loss making companies to profitable companies as long as all companies of the group are Cyprus tax residents. In order for two companies to be considered part of the same group both must be subsidiaries of a third company for 75% of their shareholding or one company must be the subsidiary of the other for 75% of its shareholding, in the sense that the holding company holds directly or indirectly 75% or more shares, benefits directly or indirectly to 75% or more of the income and of the assets in case of winding up, of the subsidiary company. The new Cyprus tax legislation has adopted in a more liberal version the appropriate EU Commission Merger Directive 2005/56/EC which enables reorganizations (merger, division, transfer of assets and exchange of shares) and amalgamation of companies without corporate tax, capital gains tax or transfer fees. Reorganisations apply to physical or moral entities of member and non-member states of the EU. According to articles 354A to 354P of the Cyprus Companies Law Cap113, Cyprus Companies and foreign companies based in Cyprus can be re-domiciled abroad, thus giving the possibility for foreign holding companies to move to Cyprus without creating a problem to their overall tax structure. Cyprus companies including the Cyprus Holding Company can list at the Cyprus Stock Exchange or any other proper international stock exchange, as long as the Memorandum & Articles of the Cyprus company is changed into that of a Cyprus Public Company, the Cyprus Public Company lists its shares, and the services of a broker are used for the application for listing and the listing process, and the preparation of the admission documents. Cyprus laws do not provide for Thin Capitalization Rules, thus Cyprus companies do not have to comply to any debt to equity ratio. This allows the possibility for a Cyprus company to acquire loans and to deduct interest paid to the mother company. Cyprus laws do not provide for CFC Legislation and according to the jurisprudence of the European Court of Justice has ruled that CFC rules can not apply when the subsidiary company in a Member State has true economic activities, thus it is to the advantage of businessmen to use the Cyprus company as a subsidiary company or The Cyprus Holding Company as a mother company to which income from zero % jurisdictions or passive activities cannot be related. Estate Duty was abolished in Cyprus on January 1st 2000. Stamp Duty applies to contracts, documents, etc. which relate to assets in Cyprus irrespective of whether or not these were signed in Cyprus. Transactions related to reorganizations and contracts relating to assets or business outside Cyprus are exempted from stamp duty. The Standard rate of VAT in Cyprus as of January 2014 is 19%, with a reduced rate of 9% for matters related to restaurant services, tourism and transportation, a reduced rate of 5% on the construction or acquisition of residential property in Cyprus used as primary or permanent residence by locals or foreigners whether residents or non-residents of Cyprus, a reduced rate of 5% or 0% rate for various product supplies, and exemption on financial services, hospital and medical services, postal services, insurance services, rental of immovable property and disposal of immovable property where the application for building permission was submitted prior to 01/05/2004.Added value tax is imposed on the provision of goods and services in Cyprus as well as on the importation of goods into Cyprus. It is imposed on all supplies of goods or provision of services made within the Republic which are not exempt (taxable transactions). The place of supply for goods is where the goods are located when they are delivered to the client. Services are considered to be rendered in the place where the person who is rendering them belongs (basic rule) unless the services fall within certain categories for which special rules apply. For example, special rules apply for advertising, intellectual property rights, certain professional services, telecommunications which are considered to be rendered in the place where the recipient of the services is considered to belong. The person rendering the services is considered to belong in a given country if he has a business establishment there and not somewhere else or he does not have such an establishment anywhere but his habitual residential place is there (for legal persons this is the country of their registration) or he has such establishments in that country and somewhere else but his establishment more closely connected to the supply is located in the give country. Therefore based on the above, depending on the nature of their supplies and where they belong, Cyprus Companies could be liable to registration, could be entitled for registration or will neither have the right nor the obligation for registration. — Liability for Registration: A Cyprus Company which makes taxable supplies within Cyprus is liable to register if the value of their supplies exceeds the registration threshold which is currently € 15,600. If taxable supplies are taxed with the standard rate of 17% or reduced rate of VAT they must account for output on these supplies. Liability to register may also arise due to the reverse charge provisions for services received from abroad. They must treat such supplies as if they had been supplied by them in Cyprus in the course of their business and account for VAT. Such VAT, if attributable to taxable supplies, will give rise to the right of deduction as input tax. However, if this is the only sole type of “supply’’ of a Cyprus Company in Cyprus which is not registered and their value exceeds € 15,600 p.a. then liability to register for VAT purposes is born. If a Cyprus Company makes supplies which are taxable under the zero rate of VAT it becomes liable to register if the value of these supplies exceeds € 15,600 p.a. despite the fact that no output tax will have you be accounted for. — Voluntary Registration: Cyprus Companies established in Cyprus making supplies which are considered to be provided outside of Cyprus have no liability to register for VAT. However where a Cyprus Company which is not liable to register under the VAT law and provided certain conditions are met (among others business establishment, registration, or management and control in Cyprus etc) it can voluntarily register for VAT if it so desires and be registered from the day on which the request is made or from such earlier date as may by agreed with the VAT office. The above provisions allow Cyprus Companies which have been established in Cyprus to register for VAT, even though, they will not have account for any output tax. As a result, they will be eligible to recover VAT charged on taxable supplies received and on importation of goods. It must be note that Cyprus Companies whose taxable turnover does not exceed the € 15,600 can also apply for voluntary registration. — No liability and no right for registration: Cyprus Companies which have been established in Cyprus and supply, amongst others, the following services which are exempted from VAT are note liable or entitled for registration: The supply of financial services, insurance and reinsurance transactions including those performed by insurance agents, brokers, and broker’s agents; Interest receivable and rents receivable, regarding leasing or letting of immovable property. -As per January 1rst 2012, an employer taking up residence in Cyprus with a yearly salary above EUR 100, 000 benefits from a 50% tax exemption for a period of 5 years. * For Dividends, Interest & Royalties received (Rcvd) in Cyprus, the tables show the rates of withholding tax deducted in countries that have signed a double taxation treaty with Cyprus from income to be received in Cyprus. The withholding tax paid abroad is credited against any tax payable in Cyprus, if any. Furthermore, there is no tax in Cyprus for dividends received from another Cyprus company, for dividends received from another foreign company of which the Cyprus Company receiver holds 1% or more of the shares, or for dividends received from a foreign company with a Permanent Establishment in Cyprus. ** Payment of Dividends & Interest paid from Cyprus to non-residents is exempt from withholding tax in Cyprus. Interest paid from Cyprus bears a 15% withholding tax if it doesn’t fall within the usual activity of the Company. Royalties paid from Cyprus for use outside of Cyprus are free of withholding tax in Cyprus but bear a 10% withholding tax if they are for use within Cyprus. ***Armenia, Kyrgyzstan, Moldova, Tajikistan, Uzbekistan and Ukraine consider themselves bound by the treaty signed with the former USSR. The rates shown are those of the treaty Cyprus/USSR. 2. Royalties earned on rights used within Cyprus are subject to WHT of 10%. 3. A rate of 5% on film and TV royalties. 4. Nil if paid to a government/Central Bank/Public Authority or for export guarantee. 5. Nil on literary, dramatic, musical, or artistic work. 6. Nil if paid to the government/Central Bank/Public Authority of the other state. 7. This rate applies for patents, trademarks, designs or models, plans, secret formulas, or processes, or any industrial, commercial, or scientific equipment, or for information concerning industrial, commercial or scientific experience. 8. A rate of 15% if received by a company holding less than 25% of the share capital of the paying company and in all cases if received by an individual. 9. A rate of 15% if received by a person controlling less than 10% of the voting power of the paying company and in all cases if received by an individual. 10. Nil if paid to a government, bank or financial institution. 11. A rate of 5% on film royalties. 12. A rate of 5% if received by a person controlling less than 50% of the voting power. 13. This rate applies to individual shareholders regardless of their percentage of shareholding. Companies controlling less than 10% of the voting shares are also entitled to this rate. Companies controlling at least 10% of the voting shares are entitled to nil WHT. 14. A rate of 10% for payments of a technical, managerial, or consulting nature. 15. Treaty rate is 15%, therefore restricted to Cyprus legislation rate. 16. A rate of 10% if a dividend is paid by a company in which the beneficial owner has invested less than EUR 100.000. 17. If investment is less than EUR200.000, dividends are subject to 15% WHT which is reduced to 10% if the recipient company controls 25% or more of the paying company. 18. No WHT for interest on deposits with banking institutions. 19. A rate of 15% if a dividend is paid by a company in which the beneficial owner holds less than 20% of the share capital of the paying company and the beneficial owner has invested less than Eur 100.000. 20. A rate of 10% on interest received by a financial institution or when it relates to sale on credit of any industrial, commercial, or scientific equipment or of merchandise. 21. This rate applies for any copyright of literary, dramatic, musical, artistic, or scientific work. A 10% rate applies for industrial, commercial, or scientific equipment. A 15% applies for patents, trademarks, designs or models, plans, secret formulas, or processes. 22. This rate applies to companies holding directly at least 25% of the share capital of the company paying the dividend. In all other cases the WHT is 10%. 23. This rate does not apply if the payment is made to a Cyprus international business entity by a resident of Bulgaria owning directly or indirectly at least 25% of the share capital of the Cyprus entity. 24. A rate of 7% if paid to a bank or financial institution. 25. Serbia and Montenegro apply the Yugoslavia/Cyprus treaty. 26. This rate applies if received by a company (excluding partnership) that holds directly 25% of the shares. A rate of 10% applies in all other cases. 27. Applies to any consideration for the use of, or the right to use, any copyright of literary, artistic or scientific work (including cinematograph films, tapes or discs for radio or television broadcasting), computer software, any patent, trademark, design or model plan, secret formula or process, or for information concerning industrial, commercial, or scientific experience. 28. This rate applies if received by a company (excluding partnership) which holds directly at least 10% of the shares for an uninterrupted period of no less than one year. 5% applies in all other cases. 29. 10% for patent, trademark, design or model, plan, secret formula or process, computer software or industrial, commercial, or scientific equipment, or for information concerning industrial, commercial, or scientific experience. 30. A rate of 5% if a dividend is paid by a company in which the beneficial owner has invested less than EUR150.000. 31. The provisions of the Parent-Subsidiary EU directive are applicable. 32. A rate of 15% if received by a company controlling less than 10% of the share capital of the paying company or the duration of any holding is less than one uninterrupted year. 33. A 5% WHT will be levied on payment of royalties in respect of any copyright of scientific work, any patent, trade mark, secret formula, process or information concerning industrial, commercial or scientific experience. 10% WHT will be levied in all other cases. 34. This rate applies if the recipient company (excluding partnership) holds directly 10% of the shares for an uninterrupted period of at least 2 years. 5% in all other case. 35. A rate of 15% applies if received by a company controlling less than 10% of the voting power in the paying company and in all cases if received by an individual. 36. A rate of 15% if received by a company holding less than 10% of the share capital of the paying company and in all cases if received by an individual. 37. A rate of 15% if received by a company holding less than 10% of the shares of the paying company and in all cases if received by an individual. 38. The treaty with Spain is expected to be effective during 2014 in relation to WHT. The WHT provisions of the treaty will be effective after the period of 3 months from the date of exchange of notes between the two countries. 39. A rate of 5% if received by a company holding less than 10% of the share capital of the paying company and in all cases if received by an individual or a company not limited at least partly by shares. Tax not withheld on dividends (15%) if the exemption is given for the purposes of economic development in Cyprus (Denmark, Germany, France). — Μια λίστα 3-4 ονομάτων, διαφορετικά το ένα από το άλλο, γίνεται σε σειρά προτεραιότηταςγια την αίτηση της Εταιρίας για όνομα. — Για πελάτες που επιθυμούν να αποφύγουν όλες τις καθυστερήσεις, προτείνουμε προεγγεγραμμένες έτοιμες κυπριακές Εταιρίες, τις οποίες μπορούμε να παραδώσουμε μέσα σε διάστημα λίγων ημερών. Έπειτα, ο πελάτης μπορεί να μας ενημερώσει όσον αφορά το όνομα που θέλει για την Εταιρία, έτσι ώστε να μπορέσουμε να προχωρήσουμε στην αλλαγή ονόματος της Εταιρίας. — Πλήρες όνομα και διεύθυνση του κληρονόμου. — Το αντίγραφο του βιβλιαρίου του κληρονόμου (ή το αντίγραφο του πιστοποιητικού συγχώνευσης της Εταιρίας, εάν ο πελάτης είναι Εταιρία): παρακαλώ στείλτε μέσω ηλεκτρονικού ταχυδρομείου ένα αντίγραφο του διαβατηρίου (μορφή jpeg). — Αριθμός μετοχών ανά μέτοχο. Ένας μέτοχος μπορεί να κατέχει 100% μετοχές. — Αντικείμενο/δραστηριότητες της Εταιρίας: μια απλή αναφορά του είδους της δραστηριότητας δεν αρκεί. Ο ληξίαρχος των Εταιριών θα πρέπει να γνωρίζει περί ποιων επαγγελματικών δραστηριοτήτων πρόκειται. — Ο κληρονόμος θα παραλάβει από εμάς: το Trust Deed που αποδεικνύει ότι αυτός είναι ο νόμιμος ιδιοκτήτης της Εταιρίας, το καταστατικό της Εταιρίας καθώς και άρθρα συνεργασίας της Εταιρίας, Πιστοποιητικά Συγχώνευσης, εγγεγραμμένη διεύθυνση, διευθυντές και γραμματέας, μέτοχοι. Το δικηγορικό Κώστας Ιντιάνος & Σία παρέχει συμβουλές φορολογικού σχεδιασμού για τους πελάτες που επιθυμούν να βελτιστοποιήσουν τις διεθνείς επιχειρηματικές τους δραστηριότητες. Η Κύπρος είναι μια ευρωπαϊκή χώρα με ευνοϊκό φορολογικό σύστημα και ένα ευρύ δίκτυο Συμβάσεων Αποφυγής Διπλής Φορολογίας. Ένα άτομο είναι φορολογικός κάτοικος εάν διαμένει στην Κύπρο για μία ή περισσότερες περιόδους που υπερβαίνουν το σύνολο των 183 ημερών ανά φορολογικό έτος. Οι κάτοικοι υπόκεινται σε φόρο στην Κύπρο για το παγκόσμιο εισόδημά τους, ενώ οι μη κάτοικοι υπόκεινται σε φόρο μόνο για το εισόδημά τους που προέρχεται από την Κύπρο. Μια εταιρεία είναι κάτοικος εάν η διαχείριση και ο έλεγχος της είναι στην Κύπρο. Από την 01/01/2012, εργοδότης στην Κύπρο με ετήσιο μισθό άνω των € 100, 000 θα έχει 50% φοροαπαλλαγή για μια περίοδο 5 ετών. Εώς την 1η Ιανουαρίου 2012, ένας εργοδότης που έχει την έδρα του στην Κύπρο με ετήσιο μισθό πάνω από 100.000 ευρώ ωφελείται από φοροαπαλλαγή 50% για μια περίοδο 10 ετών. Ωστόσο, για απασχολήσεις που αρχίζουν την/μετά την 1η Ιανουαρίου 2015, η φορολογική απαλλαγή δεν ισχύει για τα άτομα που είναι φορολογικοί κάτοικοι κατά τη διάρκεια 3 από των 5 φορολογικών ετών του έτους που προηγείται το έτος που άρχισε η απασχόληση. Η απαλλαγή ισχύει ακόμη και αν ο μισθός πέσει κάτω από 100 000 ευρώ, εφ’ όσον δεν μπορεί να αποδειχθεί ότι ο μόνος σκοπός του μισθού ήταν φορολογική απαλλαγή. Για το 2015 και μέχρι το 2020, τα άτομα που αναλαμβάνουν απασχόληση και γίνονται φορολογικοί κάτοικοι Κύπρου επιτρέπονται 20% φορολογική απαλλαγή έως και € 8.550 στο ετήσιο εισόδημα για τα πρώτα πέντε χρόνια απασχόλησης. Οι ατομικές φορολογικές μεταρρυθμίσεις του 2015 εισαγάγουν μια νέα έννοια «non-domiciled φορολογικός κάτοικος» όπου οι ξένοι ιδιώτες που χαρακτηρίζονται ως φορολογικοί κάτοικοι στη βάση καταμέτρηση ημερών και ζουν στην Κύπρο χαρακτηρίζονται ως non-domiciled φορολογικοί κάτοικοι, εκτός και αν ήταν φορολογικοί κάτοικοι Κύπρου για 17 χρόνια από τα τελευταία 20 ή, αν γεννήθηκαν στην Κύπρο. Η φορολογική μεταρρύθμιση δεν ισχύει για τις εταιρείες που δεν πληρώνουν Ε.Ε.Α επί των μερισμάτων, και εφόσον η εταιρεία δεν έχει κανένα εξουσιοδοτημένο εκπρόσωπο μετόχου, ένας μη-κάτοικος δικαιούχος μέτοχος δεν μπορεί να παραπεμφθεί σε αυτό το νόμο για να αποφύγει την καταβολή του Ε.Ε.Α επί των τόκων ή / και του εισοδήματος ενοικίασης. Όλες οι κυπριακές εταιρείες πληρώνουν εταιρικό φόρο, εκτός από τις ναυτιλιακές εταιρείες που πληρώνουν φόρο χωρητικότητας. Ο φορολογικός συντελεστής είναι 12,5%, με εξαίρεση για τα δικαιώματα. Οι εκ των προτέρων φορολογικές αποφάσεις μπορούν να ληφθούν από την Αρχή Φόρου Εισοδήματος. Μια σταθερή ετήσια εισφορά των € 350 ισχύει για όλες τις εταιρείες, συμπεριλαμβανομένων ανενεργών (μη ενεργών) εταιρειών και εταιρειών που δεν κατέχουν περιουσιακά στοιχεία ή έχουν περιουσία που δεν ελέγχεται από την Κυπριακή Δημοκρατία. Η πρώτη εισφορά επιβάλλεται στο έτος σύστασης της εταιρείας. Η μη καταβολή της ετήσιας εισφοράς θα οδηγήσει σε αποεγγραφή ή διαγραφή από τον Έφορο Εταιρειών Κύπρου. Όταν μια εταιρεία αποκαθίσταται στον Έφορο εντός 2 ετών από την ημερομηνία εγγραφής ή διαγραφής, θα επιβάλλεται πρόσθετος σταθερό πρόστιμο 500 €. Όταν μια εταιρεία αποκαθίσταται στον Έφορο μετά την περίοδο 2 ετών, η σταθερή ετήσια εισφορά θα αυξηθεί μέχρι και € 750. -Σε περίπτωση καθυστέρησης μέχρι και 2 μήνες, 10% ποινή. -Σε περίπτωση καθυστέρησης 2 εώς 5 μήνες, 30% ποινή. Τα έσοδα από μερίσματα που λαμβάνονται από μια εταιρεία φορολογικό κάτοικο Κύπρου από μια εταιρεία φορολογικό κάτοικο Κύπρου είναι αφορολόγητα υπό την προϋπόθεση ότι το μέρισμα δεν λαμβάνεται έμμεσα μετά από μια περίοδο τεσσάρων ετών μετά τη λήξη του έτους το οποίο σχετίζεται με την αύξηση του εισοδήματος από μερίσματα. Τα έσοδα από μερίσματα που λαμβάνονται στην Κύπρο από μια ξένη εταιρεία είναι πλήρως απαλλαγμένα από τον εταιρικό φόρο στην Κύπρο και δεν υπόκεινται σε Ειδική Εισφορά Άμυνας 17% εφ’ όσον η εταιρεία που λαμβάνει το μέρισμα κατέχει μετοχές στην εταιρεία που καταβάλλει το μέρισμα, ακόμη και αν η συμμετοχή είναι λιγότερο από 1%. Ωστόσο, αυτό δεν ισχύει εάν πάνω από το 50% των δραστηριοτήτων της αποδίδουσας εταιρείας οδηγεί σε εισόδημα από επενδύσεις (παθητικό εισόδημα, όπως τόκοι από εταιρείες, τραπεζικούς λογαριασμούς, δικαιώματα τα οποία δεν προέρχονται από την εμπορικές, συναλλακτικές, κατασκευαστικές ή παρόμοιες δραστηριότητες) και ο ξένος φόρος είναι σημαντικά χαμηλότερος από τον συντελεστή φόρου που είναι πληρωτέος στην Κύπρο, με άλλα λόγια χαμηλότερος από 5%. Επιπλέον, τα μερίσματα θα πρέπει να διανέμονται κάθε δύο χρόνια. Αν μια εταιρεία με έδρα την Κύπρο δεν διανέμει μερίσματα εντός δύο ετών από το τέλος του φορολογικού έτους, το 70% των λογιστικών κερδών θεωρείται ότι έχει διανεμηθεί, έκτακτη εισφορά 17% για την άμυνα επιβάλλεται επί της λογιζόμενης διανομής μερίσματος που ισχύει για τους κατοίκους μετόχους, η λογιζόμενη διανομή μειώνεται με πληρωμές πραγματικών μερισμάτων τα οποία έχουν ήδη καταβληθεί κατά τη διάρκεια των δύο ετών από τα κέρδη του σχετικού έτους, και όταν ένα πραγματικό μέρισμα καταβάλλεται μετά τη λογιζόμενη διανομή μερίσματος, τότε η έκτακτη αμυντική εισφορά επιβάλλεται μόνο στο επιπλέον μέρισμα που καταβλήθηκε. Οι Ενεργοί Τόκοι που αποκτώνται από τις συνήθεις δραστηριότητες της εταιρείας (όπως τόκοι επί συναλλαγών, τρεχούμενων λογαριασμών, οφειλετών, χρηματοπιστωτικό και τραπεζικό τομέα, χρηματοδότηση μεταξύ των εταιρειών) υπόκεινται σε φόρο εισοδήματος στο 12,5%. Οι Παθητικοί Τόκοι που δεν αποκτήθηκαν από τις συνήθεις δραστηριότητες της εταιρείας που πιστώνονται ή λαμβάνονται από κατοίκους Κύπρου (όπως οι τόκοι που καταβάλλονται για καταθέσεις) υπόκεινται σε Έκτακτη Αμυντική Εισφορά 30%. Τα έσοδα από τόκους από ομόλογα αποταμίευσης και ομόλογα ανάπτυξης και όλοι οι τόκοι που αποκομίζονται από ένα ταμείο προνοίας υπόκεινται σε έκτακτη εισφορά για την άμυνα με 3%. Η εφαρμογή της Έκτακτης Εισφοράς για την άμυνα πάνω σε Έσοδα από μερίσματα και Έσοδα από Τόκους περιγράφεται στις ανωτέρω δύο παραγράφους. Δεν υπάρχει παρακράτηση φόρου στην καταβολή μερισμάτων, τόκων σε φυσικά πρόσωπα ή εταιρείες μη-κατοίκους, ανεξάρτητα από την ύπαρξη μιας Συνθήκης Αποφυγής Διπλής Φορολογίας ή ανεξάρτητα της χώρας διαμονής του δικαιούχου. Το ίδιο ισχύει και για τα δικαιώματα για όσο διάστημα η άδεια έχει χορηγηθεί για χρήση εκτός Κύπρου. Για τα δικαιώματα που απορρέουν από άδεια που χορηγείται για την Κύπρο, υπάρχει ένας φόρος 12,5% για τις ημεδαπές εταιρείες στην Κύπρο και 10% για αλλοδαπές εταιρίες στην Κύπρο. Η ΛΕΤ ισχύει υπέρ των νέων ιδίων κεφαλαίων που πληρούν τις προϋποθέσεις που εκδίδονται από μια Κυπριακή Εταιρία από την 1η Ιανουαρίου 2015 και περαιτέρω, και που χρησιμοποιούνται στην επιχείρηση για το σκοπό της δημιουργίας φορολογητέου εισοδήματος. Η ΛΕΤ υπολογίζεται πολλαπλασιάζοντας το ποσό των ιδίων κεφαλαίων με ένα επιτόκιο αναφοράς. Το επιτόκιο αναφοράς είναι ίσο με την απόδοση του 10-ετούς κρατικού ομόλογου της χώρας όπου έχει επενδυθεί το μετοχικό κεφάλαιο, συν 3%. Η ΛΕΤ δεν εμπίπτει στα φορολογητέα κέρδη της εταιρείας που προκύπτουν ως αποτέλεσμα της εισαγωγής νέων κεφαλαίων, και δεν μπορεί να υπερβαίνει το 80% του φορολογητέου κέρδους που υπολογίστηκε πριν την έκπτωση. Δεν υπάρχει φορολογία στα κέρδη από διάθεση / πώληση αξιογράφων για όλες τις εταιρείες και τα άτομα που είναι φορολογικοί κάτοικοι Κύπρου, ανεξάρτητα από το αν το κέρδος είναι κεφαλαίου ή εσόδων. Επιτρέπει στην Κυπριακή Εταιρεία Συμμετοχών να διαθέσει τις μετοχές σε μια θυγατρική χωρίς φόρο στην Κύπρο, και επιτρέπει τη διάθεση των μετοχών μιας Κυπριακής Εταιρείας Συμμετοχών χωρίς φόρο στην Κύπρο, ανεξάρτητα από τις διατάξεις της σχετικής Συνθήκης Αποφυγής Διπλής Φορολογίας. Σύμφωνα με το Νόμο 118 (1) 2002, τα αξιόγραφα, επίσης γνωστά ως τίτλοι περιλαμβάνουν μετοχές, ομόλογα, κρατικά ομόλογα, ιδρυτικές μετοχές ή άλλες κινητές αξίες εταιρειών ή άλλων νομικών προσώπων που έχουν συσταθεί στην Κύπρο ή στο εξωτερικό και δικαιώματα προαίρεσης αγοράς μετοχών επ ‘αυτών, καθώς και συμφωνίες ανταλλαγής σε τίτλους, αποδείξεις θεματοφύλακα σε τίτλους, συμφωνίες επαναγοράς, συμφωνίες επαναγοράς σε τίτλους, δικαιώματα προαίρεσης σε τίτλους, και μονάδες και επιχειρήσεις σε ΟΣΕΚΑ και Ταμεία ΟΕΕ. Τέλος, μια απόφαση στην Κύπρο είναι πιθανή, προκειμένου να καθοριστεί αν ένα έγγραφο πληροί τις προϋποθέσεις σύμφωνα με το νόμο ως Αξιόγραφο ή Τίτλος. Τα κεφαλαιουχικά κέρδη επί ακίνητης περιουσίας που κατέχεται εκτός Κύπρου είναι εκτός του πεδίου εφαρμογής του φόρου κεφαλαιουχικών κερδών. Ένα κεφαλαιουχικό κέρδος που αποκομίζεται επί ακίνητης περιουσίας που κατέχεται στην Κύπρο είναι 20%. Η πλήρης απαλλαγή φόρου κεφαλαιουχικών κερδών επί των κερδών από την διάθεση αξιόγραφων δεν ισχύει για τη διάθεση των μετοχών μιας κυπριακής εταιρείας η οποία κατέχει ακίνητη περιουσία, η πώληση του ακινήτου και τη διάθεση των μετοχών που υπόκεινται σε Φόρο Κεφαλαιουχικών Κερδών 20%. Τα κεφαλαιουχικά κέρδη από την πώληση των μετοχών της εταιρείας που κατέχει μια άλλη εταιρεία η οποία κατέχει ακίνητη περιουσία στην Κύπρο υπόκεινται σε φόρο κεφαλαιουχικών κερδών υπό την προϋπόθεση η αξία του ακινήτου αντιπροσωπεύει περισσότερο από το 50% της αξίας των περιουσιακών στοιχείων της εταιρείας της οποίας οι μετοχές είναι πωλούνται, με την φορολογική βάση να είναι η αγοραία αξία, εκτός αν πρόκειται για συναλλαγή συνδεδεμένων μερών που μπορεί να επιτρέψει μια χαμηλότερη τιμή. Βλέπε σχετική ιστοσελίδα Πνευματικής Ιδιοκτησίας. Ο κανόνας του πλήρους ανταγωνισμού είναι στο νόμο περί φορολογίας εισοδήματος, ακόμη και αν η τιμολόγηση μεταβίβασης δεν είναι, και ως εκ τούτου, η φορολογική αρχή μπορεί να επιβάλλει φόρους επί των κερδών από τις σχετικές συναλλαγές. Στην περίπτωση που τα κέρδη αυξηθούν για το ένα συμβαλλόμενο μέρος, μια αντίστοιχη έκπτωση επιτρέπεται υπέρ του άλλου συμβαλλόμενου μέρους στη συναλλαγή. Η φορολογική ελάφρυνση ομίλου εταιρειών επιτρέπεται για το 75% των ομαδικών εκμεταλλεύσεων στο αποτέλεσμα του τρέχοντος έτους και οι εταιρείες μπορούν να μεταφέρουν τις απώλειες από τις ζημιογόνες εταιρίες σε κερδοφόρες επιχειρήσεις όσο διάστημα οι δικαιούχοι είναι φορολογικοί κάτοικοι Κύπρου και ανήκουν στον ίδιο όμιλο για το σύνολο του έτους. Προκειμένου δύο εταιρείες να θεωρούνται μέρος του ίδιου ομίλου και οι δύο πρέπει να είναι θυγατρικές μιας τρίτης εταιρείας για το 75% της συμμετοχής τους ή μία εταιρεία πρέπει να είναι η θυγατρική της άλλης για το 75% της συμμετοχής της, με την έννοια ότι η εταιρεία συμμετοχών κατέχει άμεσα ή έμμεσα το 75% ή περισσότερες μετοχές, ωφελείται άμεσα ή έμμεσα, στο 75% ή περισσότερο του εισοδήματος και των περιουσιακών στοιχείων σε περίπτωση εκκαθάρισης, της θυγατρικής εταιρίας. Η διασυνοριακή φορολογική ελάφρυνση υπέρ ομίλου επιτρέπεται εφόσον η θυγατρική εταιρεία που μεταφέρει τις απώλειες είναι κάτοικος της ΕΕ και όλες οι άλλες δυνατότητες για τη χρήση των απωλειών στη χώρα κατοικίας ή στο κράτος-μέλους της ΕΕ από οποιαδήποτε ενδιάμεση εταιρεία έχουν εξαντληθεί. Μη Κύπρος κάτοικος ενδιάμεσες εταιρείες δεν επιτρέπεται ανακούφιση ομάδα καθώς θεωρούνται φορολογικοί κάτοικοι ή οι κάτοικοι μιας χώρας με την οποία η Κύπρος έχει Συνθήκης Αποφυγής Διπλής Φορολογίας ή Ανταλλαγή πληροφοριών ΕΕ. Οι απώλειες μιας κυπριακής εταιρείας που σχετίζονται με επιχειρήσεις στο εξωτερικό εκπίπτουν από τα φορολογητέα κέρδη που πραγματοποιούνται από την εταιρεία κατά τη διάρκεια του έτους και το οποιοδήποτε υπόλοιπο μπορεί να συμψηφιστεί με φορολογητέα κέρδη άλλου ομίλου εταιρειών κατά τη διάρκεια του ίδιου έτους. Οι απώλειες που δεν μπορούν να συμπεριληφθούν για το τρέχον έτος μπορούν να μεταφερθούν σε επόμενα έτη για 5 χρόνια. Οι απώλειες που πραγματοποιούνται από μια Μόνιμη Εγκατάσταση αφαιρούνται από τα κέρδη της κυπριακής Εταιρείας, αλλά τα μελλοντικά κέρδη της θα φέρουν εταιρικό φόρο για να αντιστοιχεί με τις απώλειες που υπέστη. Μερίσματα που λαμβάνονται μέσω του φορολογικού σχεδιασμού που δεν βασίζεται σε μια σημαντική συναλλαγή που αντανακλά την οικονομική πραγματικότητα δεν θα είναι πλέον αφορολόγητα επομένως οι κανόνες κατά της φοροαποφυγής ισχύουν για επουσιώδης συναλλαγές για τα μερίσματα και τα υβριδικές κινητές αξίες. Η «Οδηγία για Τόκους και Δικαιώματα», η οποία προβλέπει την απαλλαγή από την παρακράτηση φόρου επί interest- και δικαιωμάτων που καταβάλλονται μεταξύ ορισμένων συνδεδεμένων ΕΕ-εταιρείες. Οι εταιρείες θεωρείται ότι συνδέονται με αυτή την έννοια, αν μία από τις εταιρείες στο ελάχιστο κατέχει το 25% του μετοχικού κεφαλαίου της άλλης εταιρείας ή όταν μια τρίτη εταιρεία, τουλάχιστον κατέχει το 25% του μετοχικού κεφαλαίου σε κάθε μία από τις δύο εταιρείες (ή , κατά την διακριτική ευχέρεια των κρατών μελών, το 25% των δικαιωμάτων ψήφου). Λαμβάνοντας υπόψη χαμηλά (12,5%) συντελεστής φορολογίας εισοδήματος νομικών προσώπων της (το οποίο είναι ένα από τα χαμηλότερα στην ΕΕ), η διαθεσιμότητα της παρούσας οδηγίας και τη διαθεσιμότητα ενός σημαντικού αριθμού συμβάσεων αποφυγής διπλής φορολογίας, η Κύπρος είναι μια ενδιαφέρουσα δικαιοδοσία για τη δημιουργία ενός ( ομάδα) εταιρεία χρηματοδότησης ή (ομάδα) αδειοδότησης της εταιρείας εντός της ΕΕ ή / και εκτός της ΕΕ. Πρόσθετο πλεονέκτημα της αδειοδότησης μέσω Κύπρος είναι η προαναφερθείσα δυνατότητα να αποκτήσουν φορολογική απαλλαγή για το κέρδος από την πώληση της IP που χρησιμοποιείται για τις δραστηριότητες αδειοδότησης. Δεν υπάρχει παρακράτηση φόρου σε Κύπρος πάνω από πληρωμές τόκων προς τους πιστωτές μη μόνιμους κατοίκους, ούτε υπάρχει (όπως αναφέρθηκε) παρακράτηση φόρου που οφείλεται κατά την καταβολή των δικαιωμάτων σε περίπτωση που η άδεια έχει χορηγηθεί για χρήση εκτός Κύπρος. Της οδηγίες της ΕΕ και η Κύπρος «διπλό φορολογικές συνθήκες σε πολλές περιπτώσεις προβλέπουν σημαντική μείωση ή ακόμη και εξάλειψη της παρακράτησης φόρου επί των πληρωμών τόκων και δικαιωμάτων στην Κύπρος Χρηματοδοτήσεις ή άδειας της εταιρείας. Σε Κύπρος, υπάρχουν ευρείες δυνατότητες για την πίστωση οποιουδήποτε αλλοδαπού παρακρατούμενου φόρου εξακολουθεί να καταβληθούν κατά Το εύλογο και δικαιωμάτων που καταβάλλονται έναντι Κύπρος οφειλόμενο φόρο πάνω από το αντίστοιχο εισόδημα. Στην πράξη αυτό σημαίνει ότι η έκπτωση φόρου δίνεται στην Κύπρος σε οποιοδήποτε φόρο, συμπεριλαμβανομένων Έκτακτη Αμυντική εισφορά φόρου και του φόρου εισοδήματος για κάθε φόρο που καταβλήθηκε στην αλλοδαπή δικαιοδοσία κράτους καθώς και η βασική του τοπικού εμπορίου φόρου που καταβλήθηκε από τη θυγατρική εταιρεία ή παρακράτηση φόρου επί των εξερχόμενων μερισμάτων σε Κύπρος . Η νέα φορολογική Κύπρος νομοθεσία έχει υιοθετήσει σε μια φιλελεύθερη εκδοχή της οδηγίας η κατάλληλη Ευρωπαϊκή Επιτροπή Συγχώνευσης 2005/56 / ΕΚ, το οποίο επιτρέπει αναδιοργανώσεις (συγχώνευση, διάσπαση, μεταβίβαση στοιχείων ενεργητικού και ανταλλαγής μετοχών) και τη συγχώνευση των εταιρειών, χωρίς εταιρικού φόρου, του φόρου κεφαλαιουχικών κερδών ή τέλη μεταβίβασης. Αναδιοργανώσεις ισχύουν για σωματική ή ηθική οντότητες των κρατών και μη κράτη μέλη της ΕΕ. Ωστόσο, φορολογική απαλλαγή μπορεί να αρθεί από τη φορολογική αρχή, εφόσον θεωρούν ότι ο μόνος σκοπός της αναδιοργάνωσης είναι να αποφευχθεί η φορολογική χωρίς ουσιαστική επιχειρηματική αιτιολόγηση, και μπορούν να περιορίσουν τις μετοχές που εκδόθηκαν για την αναδιοργάνωση εκτός αν είναι μια δημόσια εταιρεία εισηγμένη στο χρηματιστήριο. Τα κέρδη από μόνιμη εγκατάσταση στο εξωτερικό είναι πλήρως εξαιρούμενα από τον φόρο εταιριών στην Κύπρο, εκτός εάν περισσότερο από το 50% των δραστηριοτήτων της εταιρείας αποδίδουν εισόδημα από επενδύσεις και ο ξένος φόρος είναι σημαντικά χαμηλότερος (τουλάχιστον 5%) από τον ποσοστό φόρου 12,5% που είναι πληρωτέος στην Κύπρο. Ο όρος ΜΕ περιλαμβάνει τώρα τις δραστηριότητες που σχετίζονται με την εξερεύνηση και την εκμετάλλευση του θαλάσσιου βυθού. Το ακαθάριστο εισόδημα που κερδίζεται στην Κύπρο από ένα μη κάτοικο χωρίς Μ.Ε. στην Κύπρο σχετικά με την εξερεύνηση και την εκμετάλλευση του θαλάσσιου βυθού φορολογείται 5%. Οι πληρωμές που πραγματοποιούνται από μη κάτοικο ή ένα άτομο χωρίς Μ.Ε. στην Κύπρο, αλλά με το κόστος να αναλαμβάνεται από ένα συνεργάτη κάτοικο, ο συνεργάτης κάτοικος πρέπει να παρακρατά και να καταβάλλει τον φόρο 5% στις φορολογικές αρχές. Σύμφωνα με τα άρθρα 354A έως 354Π του Νόμου περί Εταιρειών Κύπρου, Κεφ. 113, οι κυπριακές Εταιρείες και οι ξένες εταιρείες που εδρεύουν στην Κύπρο μπορούν να επανακατοικήσουν στο εξωτερικό, δίνοντας έτσι τη δυνατότητα στις ξένες εταιρείες συμμετοχών να μετακινηθούν στην Κύπρο χωρίς να δημιουργηθεί πρόβλημα στη συνολική φορολογική δομή τους. Οι κυπριακές εταιρείες, συμπεριλαμβανομένης της κυπριακής Εταιρείας Συμμετοχών μπορούν να εισαχθούν στο Χρηματιστήριο Αξιών Κύπρου ή σε οποιοδήποτε άλλο κατάλληλο διεθνές χρηματιστήριο, εφ ‘όσον το Ιδρυτικό και Καταστατικό Έγγραφο της κυπριακής εταιρείας αλλάξει σε αυτό μιας κυπριακής Δημόσιας Εταιρείας, η κυπριακή Δημόσια Εταιρεία εισάγει τις μετοχές της, και οι υπηρεσίες ενός χρηματιστή χρησιμοποιούνται για την αίτηση για την εισαγωγή και τη διαδικασία εισαγωγής, καθώς και την προετοιμασία των εγγράφων εισαγωγής. Η κυπριακή νομοθεσία δεν προβλέπει για Λεπτούς Κανόνες Κεφαλαιοποίησης, έτσι οι κυπριακές εταιρείες δεν χρειάζεται να συμμορφώνονται με οποιοδήποτε δείκτη χρεών προς ίδια κεφάλαια. Αυτό επιτρέπει τη δυνατότητα για μια κυπριακή εταιρεία να αποκτήσει δάνεια και να αφαιρέσει τόκους που καταβάλλονται στη μητρική εταιρεία. Ωστόσο, τα έξοδα από τόκους σε σχέση με δάνεια που χρησιμοποιούνται για την αγορά περιουσιακών στοιχείων εκτός της συνήθους επιχειρηματικής δεν μπορούν να εκπέσουν. Οι νόμοι της Κύπρου δεν προβλέπουν για Νομοθεσία ΕΑΕ και σύμφωνα με τη νομολογία του Δικαστηρίου των Ευρωπαϊκών Κοινοτήτων έχει αποφανθεί ότι οι κανόνες ΕΑΕ δεν μπορούν να εφαρμοστούν όταν η θυγατρική εταιρία σε ένα Κράτος Μέλος έχει πραγματική οικονομική δραστηριότητα, επομένως, είναι προς όφελος των επιχειρηματιών να χρησιμοποιούν την κυπριακή εταιρεία ως μια θυγατρική εταιρεία ή την κυπριακή Εταιρεία Συμμετοχών ως μια μητρική εταιρεία στην οποία το εισόδημα από το μηδέν % δικαιοδοσίες ή παθητικές δραστηριότητες δεν μπορεί να σχετίζεται. Τα νομισματικά κέρδη και απώλειες που προκύπτουν από μεταβολές στις συναλλαγματικές ισοτιμίες νομισμάτων δεν θεωρούνται για τη φορολογία. Τα κέρδη και οι ζημίες που προκύπτουν από τη συναλλαγή ξένων νομισμάτων ή / και παραγώγων νομισμάτων λαμβάνονται υπόψη για φορολογία. Οι επιχειρηματικές οντότητες σε αυτήν την επιχείρηση μπορούν να επιλέξουν να φορολογηθούν στη βάση των κερδών ή των απωλειών. 5% παρακράτηση φόρου από την 1η Ιανουαρίου 2016 πάνω σε κέρδη που προέρχονται από ένα μη κάτοικο χωρίς ΜΕ (μόνιμη εγκατάσταση) στην Κύπρο από υπηρεσίες που παρασχέθηκαν στην Κύπρος σε σχέση με την εξερεύνηση ή τη χρήση ή την εξαγωγή της υφαλοκρηπίδας, συμπεριλαμβανομένης της δημιουργίας / χρήσης αγωγών ή / και άλλων υπόγειων ή επιφανειακών εγκαταστάσεων ή εγκαταστάσεων στο βυθό της θάλασσας. Η νέα επερχόμενη νομοθεσία περί πνευματικής ιδιοκτησίας της Κύπρου θα ευθυγραμμιστεί με την προσέγγιση Nexus σύμφωνα με τη Δράση 5 του ΟΟΣΑ που εκδόθηκε για τη συμμόρφωση με το σχέδιο BEPS. Το προηγούμενο Πλαίσιο Πνευματικής Ιδιοκτησίας δεν ισχύει πια. Οι δαπάνες R&D (έρευνας και ανάπτυξης) των εταιρειών καινοτομίας και οι δαπάνες για την απόκτηση μετοχών σε εταιρείες καινοτομίας θα αφαιρούνται από το φορολογητέο εισόδημα. Οι δαπάνες επιχειρήσεων ψυχαγωγίας εκπίπτουν από τον φόρο, με εξαίρεση ενός φόρου 1% επί των ακαθάριστων εσόδων που δεν μπορεί να υπερβαίνει τα € 17.086. Το Τέλος Χαρτοσήμου εφαρμόζεται σε συμβάσεις, έγγραφα, κλπ που αφορούν στοιχεία του ενεργητικού στην Κύπρο, ανεξάρτητα από το αν αυτά υπεγράφησαν στην Κύπρο ή όχι. Οι συναλλαγές που σχετίζονται με αναδιαρθρώσεις και συμβάσεις που αφορούν στοιχεία του ενεργητικού ή εργασίες εκτός Κύπρος απαλλάσσονται από τα τέλη χαρτοσήμου. Ο Κανονικός Συντελεστής του ΦΠΑ στην Κύπρο από τον Ιανουάριο του 2014 είναι 19%, με ένα μειωμένο συντελεστή 9% για τα θέματα που σχετίζονται με τις υπηρεσίες εστίασης, τουρισμού και μεταφορών, ένα μειωμένο συντελεστή 5% για την κατασκευή ή απόκτηση οικιστικών ακινήτων στην Κύπρο που χρησιμοποιούνται ως κύρια ή μόνιμη κατοικία από ντόπιους ή ξένους είτε κάτοικους ή μη κατοίκους της Κύπρου, ένα μειωμένο συντελεστή 5% ή 0% για διάφορες προμήθειες προϊόντων, καθώς και απαλλαγή σε χρηματοπιστωτικές υπηρεσίες, νοσοκομεία και ιατρικές υπηρεσίες, ταχυδρομικές υπηρεσίες, ασφαλιστικές υπηρεσίες, μίσθωση ακινήτων και διάθεση ακινήτων για τα οποία η αίτηση για οικοδομική άδεια υποβλήθηκε πριν από την 01/05/2004. Επιβάλλεται φόρος προστιθέμενης αξίας για την παροχή αγαθών και υπηρεσιών στην Κύπρο, καθώς και για την εισαγωγή εμπορευμάτων στην Κύπρο. Σύμφωνα με την Κυπριακή νομοθεσία, δεν υπάρχει ποτέ παρακράτηση φόρου σε μερίσματα και τόκους που πληρώνονται προς δικαιούχους μη φορολογικούς κάτοικους Κύπρου. Στην περίπτωση που το δικαίωμα εκμετάλλευσης είναι για χρήση στην Κύπρο υπάρχει παρακράτηση φόρου 10%. 5% πάνω σε δικαιώματα ταινιών και τηλεόρασης. Μηδέν αν πληρώνεται στην Κυβέρνηση/Κεντρική Τράπεζα/Πολιτική Αρχή ή για εγγύηση εξαγωγής. Μηδέν για θεατρική, λογοτεχνική, μουσική ή καλλιτεχνική δουλειά. Μηδέν αν πληρώνεται στην Κυβέρνηση/Κεντρική Τράπεζα/Πολιτική Αρχή του άλλου κράτους. Ο συντελεστής αυτός ισχύει για δικαιώματα ευρεσιτεχνίας, εμπορικού σήματος, σχεδίου ή προτύπου, μυστικού κώδικα ή διαδικασίας παραγωγής ή για χρήση ή δικαίωμα χρήσης βιομηχανικού, εμπορικού ή επιστημονικού εξοπλισμού. 15% αν ληφθούν από εταιρεία που ελέγχει λιγότερο από 25% των ψήφων ή από φυσικό πρόσωπο. 15% αν ληφθεί από πρόσωπο που ελέγχει λιγότερο από 10% των ψήφων. Μηδέν αν πληρώνεται σε κυβερνητική τράπεζα, ή χρηματοοικονομικό οργανισμό. 5% για δικαιώματα ταινιών (εκτός από ταινίες που προβάλλονται στην τηλεόραση). 5% αν ληφθεί από άτομο που ελέγχει λιγότερο από 50% των ψήφων. Αυτός ο συντελεστής ισχύει για φυσικά πρόσωπα, ανεξάρτητα από το ποσοστό μετοχών που κατέχουν. Ο συντελεστής αυτός ισχύει επίσης και για εταιρείες, που ελέγχουν λιγότερο από το 10% των μετοχών που έχουν δικαίωμα ψήφου. 10% για πληρωμές τεχνικής, διοικητικής ή συμβουλευτικής φύσης. Η σύμβαση προνοεί για παρακράτηση φόρου ύψους 15% και επομένως ο συντελεστής περιορίζεται στον συντελεστή που προνοεί η νομοθεσία της Κύπρου. 10% αν το μέρισμα πληρώνεται από εταιρεία στην οποία ο μέτοχος έχει επενδύσει λιγότερα από €100.000. Αν η επένδυση είναι για λιγότερα από €200.000, τα μερίσματα υπόκεινται σε παρακράτηση φόρου 15%, ο οποίος μειώνεται σε 10% αν η λαμβάνουσα εταιρεία ελέγχει τουλάχιστο 25% της εταιρείας που πληρώνει το μέρισμα. Δεν υπάρχει παρακράτηση φόρου για τόκους από καταθέσεις σε τραπεζικούς οργανισμούς. Την Σύμβαση εφαρμόζουν η Αρμενία, η Κιργισία, το Ουζμπεκιστάν, το Τατζικιστάν και η Ουκρανία. 10% για τόκους που πληρώνονται σε χρηματοοικονομικό οργανισμό ή όταν πρόκειται για πωλήσεις επί πιστώσει για βιομηχανικό, εμπορικό ή επιστημονικό εξοπλισμό ή για εμπορεύματα. Ο συντελεστής αυτός ισχύει για πνευματικά δικαιώματα για λογοτεχνική, θεατρική, μουσική, καλλιτεχνική ή επιστημονική εργασία. Συντελεστής 10% ισχύει για χρήση ή δικαίωμα χρήσης βιομηχανικού, εμπορικού ή επιστημονικού εξοπλισμού. Συντελεστής 15% ισχύει για δικαιώματα ευρεσιτεχνίας, εμπορικού σήματος, σχεδίου ή προτύπου, προγράμματος μυστικού κώδικα ή διαδικασίας παραγωγής. Ο συντελεστής αυτός ισχύει για εταιρείες στις οποίες ανήκει τουλάχιστον το 25% του μετοχικού κεφαλαίου της εταιρείας ή οποία πληρώνει το μέρισμα. Σε όλες τις άλλες περιπτώσεις η παρακράτηση φόρου είναι 10%. Ο συντελεστής αυτός δεν ισχύει αν η πληρωμή γίνεται σε Κυπριακή εταιρεία διεθνών δραστηριοτήτων από κάτοικο της Βουλγαρίας ο οποίος άμεσα ή έμμεσα κατέχει τουλάχιστον 25% των μετοχών της Κυπριακής εταιρείας. 7% αν πληρώνεται σε τράπεζα ή χρηματοοικονομικό οργανισμό. Την σύμβαση εφαρμόζουν η Σλοβενία, η Σερβία και το Μαυροβούνιο. Ο συντελεστής αυτός ισχύει αν η είσπραξη γίνεται από εταιρεία (εξαιρείται ο συνεταιρισμός) στην οποία ανήκει άμεσα το 25% των μετοχών. 10% σε όλες τις άλλες περιπτώσεις. Για οποιοδήποτε αντάλλαγμα για τη χρήση, ή το δικαίωμα χρήσης, οποιουδήποτε δικαιώματος αναπαραγωγής φιλολογικής, καλλιτεχνικής ή επιστημονικής εργασίας (περιλαμβανομένων κινηματογραφικών ταινιών και ταινιών, μαγνητοταινιών ή δίσκων για τηλεοπτικές ή ραδιοφωνικές εκπομπές), το λογισμικό ηλεκτρονικών υπολογιστών, οποιασδήποτε ευρεσιτεχνίας, εμπορικού σήματος, σχεδίου ή προτύπου, μηχανολογικού σχεδίου, μυστικού τύπου ή διαδικασίας παραγωγής ή για πληροφορίες που αφορούν βιομηχανική, εμπορική ή επιστημονική πείρα. Ο συντελεστής αυτός ισχύει αν η είσπραξη γίνεται από εταιρεία (εξαιρείται ο συνεταιρισμός) στην οποία ανήκει άμεσα το 10% των μετοχών για συνεχή περίοδο τουλάχιστον ενός έτους. 5% σε όλες τις άλλες περιπτώσεις. 10% για προνόμιο ευρεσιτεχνίας, εμπορικό σήμα, σχέδιο ή πρότυπο, μυστικό τρόπο κατασκευής, λογισμικό πρόγραμμα, βιομηχανικό, εμπορική ή επιστημονικό μηχάνημα ή για πληροφορίες που σχετίζονται με βιομηχανική, εμπορική ή επιστημονική πείρα. 5% αν το μέρισμα πληρώνεται από εταιρεία στην οποία ο πραγματικός μέτοχος έχει επενδύσει λιγότερα από €150.000. Ισχύουν οι πρόνοιες της Ευρωπαϊκής Οδηγίας περί μητρικών-θυγατρικών εταιρειών. 15% σε περιπτώσεις που η είσπραξη γίνεται από εταιρεία που της ανήκει λιγότερο από το 10% του μετοχικού κεφαλαίου της εταιρείας που πληρώνει το μέρισμα και η διάρκεια οποιασδήποτε κατοχής στο μετοχικό κεφάλαιο της εταιρείας που πληρώνει το μέρισμα είναι λιγότερη από ένα συνεχόμενο χρόνο. Έχει υπογραφεί νέα σύμβαση η οποία θα τεθεί σε ισχύ από την 1η Ιανουαρίου του έτους που έπεται το έτος στο οποίο θα επικυρωθεί. Ο συντελεστής αυτός ισχύει αν η είσπραξη γίνεται από εταιρεία (εξαιρείται ο συνεταιρισμός) στην οποία ανήκει άμεσα το 10% των μετοχών για συνεχή περίοδο τουλάχιστον δύο ετών. 5% σε όλες τις άλλες περιπτώσεις. Πρακτικά αυτό σημαίνει ότι η έκπτωση φόρου δίνεται στην Κύπρο, σε έναν φόρο που περιλαμβάνει την Ειδική Συνεισφορά για την Άμυνα καθώς και το φόρο εισοδήματος για κάθε φόρο που πληρώνεται. L’étude assure la planification fiscale pour les clients qui veulent optimiser leurs activités économiques et financiers. Chypre est le pays européen avec le système d’imposition le plus favorable et possède un réseau de plus de 40 traites de non double imposition. La nouvelle législation qui s’applique depuis 2003 a aboli la distinction entre les sociétés locales et internationales et a impose une forme unique de société. Un individuest résident chypriotesi il réside à Chypre pendant une période qui dépasse les 183 jours par an. Les résidents fiscaux chypriotes sont soumis à l’imposition à Chypre sur leur revenu mondial, tandis que les non-résidents ne sont assujettis à l’impôt que pour leur revenu de source chypriote. Une société possède sa résidence fiscale a Chypre si sa gestion & son contrôle sont a Chypre ce qui en pratique veut dire que la majorité des directeurs de la société doivent résider a Chypre plus de 183 jours par an. Les bénéfices imposables de toutes les sociétés chypriotes sont imposés au taux de 10% avec une exception pour les sociétés maritimes qui ont la possibilité de payer une taxe sur le tonnage et de ne pas payer d’impôt sur le revenu. — l’impôt étranger est sensiblement plus faible que le taux d’impôt exigible à Chypre (< de 5%). De plus, les dividendes ne sont pas considérés comme des revenues de placement si ils dérivent d’une succursale commerciale. Selon la loi chypriote les dividendes devraient être distribues tous les 2 ans. Si une société ne distribue pas ses dividendes dans les 2 années, 70% des profits seront considérés comme ayant été distribues et ces dividendes seront assujettis à la contribution spéciale pour la défense de 15%. Les intérêts acquis par l’exercice d’activités commerciales, y compris les intérêts liés à des activités commerciales, sont assujettis à un taux d’impôt de 10%.Les autres intérêts passifs qui ne découlent pas de l’activité habituelle de la société perçus par des résidents de Chypre sont assujettis à la contribution pour la défense d’un taux de 10%. Voir son application dans les deux paragraphes ci-dessus. Il n’y a pas d’impôt retenu à la source sur le paiement de dividendes, d’intérêts et de redevances à des particuliers ou sociétés non-résidents avec une exception pour l’impôt retenu à la source sur le paiement de redevances lorsqu’elles sont liées à une acticité sur Chypre. Les profits qui découlent d’un établissement stable et permanent a l’étranger ne sont pas assujettis à l’impôt sur le revenu sauf si plus de 50% des activités de la société qui paye ou verse les dividendes donnent lieu a un revenu de placement et l’imposition sur le revenu dans l’autre pays est égale ou moins de 5%. Il n’y a pas d’imposition sur les bénéfices réalisés lors de la cession de valeurs mobilières (ex actions dans une société) de placement pour toutes les sociétés et les particuliers fiscalement domiciliés à Chypre indépendamment du fait que le profit découle du capital ou du revenu. Cela permet à la Société chypriote holding de céder ses parts dans une succursale sans savoir à payer d’imposition à Chypre et cela permet la cession des actions de la Société chypriote holding sans savoir à payer d’imposition à Chypre indépendamment des provisions d’un éventuel traite de non double imposition. Selon la Loi 118 (1) 2002 les valeurs mobilières comportent les actions, les débentures, les obligations, les obligations gouvernementales, etc. La loi exempte de toute imposition les profits générés par la vente d’actions achetées avant ou après le 1/1/2003 à une société étrangère et exempte de toute imposition tout échange d’actions. Les plus-values réalisées sur la vente de propriété immobilière se situant hors de Chypre ne sont pas assujetties à l’impôt sur les plus-values alors que celles réalisées sur une vente de propriété immobilière se situant a Chypre sont assujetties à l’impôt sur les plus-values de 20%. Les pertes peuvent être reportées et imputées indéfiniment sur des bénéfices futurs. La restriction de temps apportée au report de pertes fiscales est abolie. Son application a Chypre abolit l’imposition a la source sur la succursale pour les dividendes payes a la société mère résidente d’un pays membre de l’UE, a condition que la société mère soit résidente d’un pays membre de l’UE et possède 10% ou plus de l’actionnariat de la succursale pour un temps indéfini. (La directive originale implique 25% et une durée de quelques années). En pratique cela veut dire qu’une exemption fiscale est accordée a Chypre contre n’importe quelle imposition chypriote, même la contribution Spéciale pour la Défense et l’impôt sur le revenu, pour n’importe quelle taxe payée dans l’autre pays même pour l’imposition a la source sur les dividendes envoyés a Chypre. Les dispositions concernant le transfert de charges dans un groupe de sociétés permettent, sous réserve de certaines conditions, aux sociétés d’un même groupe de transférer des pertes des sociétés déficitaires aux sociétés rentables. Le groupe ne comprend que des sociétés chypriotes résidentes avec une relation de participation directe ou indirecte de 75%. La nouvelle législation fiscale a adopté la directive de l’UE qui permet les réorganisations, fusions, acquisitions et absorptions de sociétés sans impôt sur le revenu, les plus-values ou le transfert des frais. Selon les articles 354A a 354P de la Loi Chypriote sur les Sociétés Cap113, les sociétés chypriotes et les sociétés étrangères basées a Chypre peuvent être re-domicilies a l’étranger ce qui permet a des sociétés holding de s’établir a Chypre sans que cela crée un problème dans leur planification fiscale. Les sociétés Cypriotes peuvent être cotées en bourse a Chypre ou a l’étranger, a condition que les statuts de la société soient changes en statuts de société publique, que la société publique cote son actionnariat en bourse et que les services d’un agent (broker) pour les procédures. Il n’y a pas de lois chypriotes de Règles de capitalisation, donc les sociétés chypriotes n’ont pas l’obligation de se conformer à un ratio débit crédit. Cela permet à une société d’acquérir des prêts et de déduire l’intérêt paye a une société mère. Il n’y a pas de lois chypriotes pour le contrôle des sociétés étrangères et selon la jurisprudence de la Cour de justice européenne les règles de contrôle ne peuvent pas s’appliquer lorsque une succursale dans un pays de l’UE possède une activité économique véritable, donc c’est un avantage pour les investisseurs d’utiliser la société chypriote en tant que succursale ou la société chypriote en tant que société mère a laquelle on ne peut pas lier les juridictions a 0% d’imposition ou les activités passives. Ils ont été abolis à Chypre le 1er Janvier 2000. Les droits de timbre s’appliquent aux to contrats, documents, etc. qui sont lies à des biens à Chypre indépendamment du fait que ces contrats aient été signes. Les transactions liées à des réorganisations et les contrats lies à des biens hors de Chypre are ne sont pas assujettis a des droits de timbre. * Pour lesdividendes, intérêts & redevances reçus (Reçus) a Chypre, les tables montrent les taux d’imposition a la source déduits dans les pays ayant conclu un traite de non double imposition avec Chypre. L’imposition à la source a l’étranger est crédité contre n’importe quelle imposition a Chypre. De plus, il n’y a pas de taxe a Chypre pour les dividendes reçus d’une autre société chypriote, pour les dividendes reçus par une société étrangère dans laquelle la société chypriote qui reçoit les dividendes détient au moins 1% de l’actionnariat ou pour les dividendes reçus d’une société étrangère avec un établissement permanent et stable a Chypre. ** Paiement de dividendes et intérêts de Chypre à des bénéficiaires non résidents est exempte de toute imposition a la source Chypre, mais les intérêts payes de Chypre sont assujettis a une imposition de 15% a la source si ils ne découlent pas de l’activité habituelle de la société. Les redevances payées de Chypre pour être utilisées à l’étranger sont exemptes de toute imposition à la source à Chypre avec une exception pour l’impôt retenu à la source sur le paiement de redevances lorsqu’elles sont liées à une acticité sur Chypre. ***Arménie, Kirghizistan, Moldavie, Tadjikistan, Uzbekistan et Ukraine se considèrent liées par le traité Chypre URSS, donc les chiffres sont ceux du traite. 1.15% si reçus par une société détenant moins de 25% des droits de vote. 2. 15% si reçus par une société détenant moins de 20% des droits de vote. 3. 10% si reçus par une société détenant au moins 25% du capital de la société payant. Cependant, si l’imposition d’une société allemande est moins importante pour les profits distribues que pour les profits non distribues et que la différence entre les deux taux est de 15% ou plus, la taxe sur l’imposition passe de 10% a 27%. Dans tous les autres cas elle est de 15%. 4. L’imposition a la source ne peut pas dépasser la taxe sur les profits a partir desquels les dividendes sont payes. 5.5% si reçus par une société détenant moins de 50% des droits de vote. 6. Si reçus par une société détenant moins de 10% des droits de vote, qui peut donc avoir un retour de créance déduit en UK (si la société détient plus de 10% des droits de vote, elle n’a pas droit a un retour de créance). 7.15% si reçus par une société détenant moins de 10% des droits de vote. 8. 0% sur le travail littéraire, dramatique, musical ou artistique. 9.Nil for literary, artistic or scientific work, film, and TV royalties. 10.5% sur les on films et redevances télé. 11. 0% si payes a un gouvernement ou si pour garantir l’export. 12. 0% si payes a un gouvernement étranger. 13. 0% si payes a un gouvernement étranger pour les prêts bancaires, pour la vente a crédit d’équipement industriel, commercial ou scientifique. 14. 0% si payes a un gouvernement, banque ou institution financière. Фирма продает клиентам готовые Кипрские компании для того, чтобы минимизировать временные затраты на регистрацию компании. Налогооблагаемая прибыль всех кипрских компаний облагается налогом по ставке 10%, за исключением судоходных компаний (0% налог с корпорации + налог на тоннаж). Кипрские компании, которые получают доход от деятельности, осуществляемой до 31 декабря 2001 года, могут облагаться налогом по ставке 4, 25% вплоть до 31 декабря 2005 года. Дивидендный доход, полученный на Кипре иностранной корпорацией, полностью освобождается от налога с корпорации на Кипре и не облагается налогом на оборону по ставке 15%, при условии, что получаемой дивиденды компании принадлежит, как минимум, 1% акций в компании, оплачивающей дивиденды. Вышеупомянутое исключение не применяется, если более 50% работы выплачиваемой дивиденды компании приводят к получению доходов от инвестиций и иностранный налог значительно ниже, чем налоговая ставка на Кипре (ниже 5%). Более того, дивиденды не считаются инвестиционным доходом, когда получены от своих дочерних предприятий. По Кипрскому законодательству, дивиденды необходимо распределять каждые два года. Если Кипрская резидентная компания не распределила свои дивиденды в течение двух лет с конца налогового года, 70% начисленной прибыли считается распределенной (начисленные дивиденды) и на нее начисляется 15% налог на оборону. Это правило применяется при распределении дивидендов для акционеров-резидентов. Сумма начисленных дивидендов снижается суммой фактически выплаченных дивидендов, которые были распределены в течение двух лет из прибыли соответствующего года. Если фактические дивиденды выплачиваются после распределения «начисленных дивидендов», налог на оборону начисляется только на дополнительно выплаченные дивиденды. Проценты, заработанные в результате коммерческой деятельности, включая проценты, тесным образом связанные с коммерческой деятельностью, облагаются налогом по ставке 10%. Пассивный процентный доход (не получаемый в результате коммерческой деятельности компании), начисленный или полученный Кипрскими резидентами облагается налогом на оборону по ставке 10%. Процентный доход от сберегательных облигаций и облигаций развития, а также процентный доход, заработанный сберегательным фондом, облагается налогом на оборону по специальной ставке 3% (вместо 10%). Далее 50% пассивного процентного дохода облагается подоходным налогом по ставке 10%. Прибыль, полученная от постоянного представительства за рубежом, полностью освобождается от налога с корпорации, за исключением случаев, когда более 50% деятельности выплачиваемой прибыль компании приводят к получению инвестиционного дохода, и иностранный налог значительно ниже (как минимум на 5%), чем 10%-ая кипрская налоговая ставка. На Кипре стандартная ставка НДС составляет 15%. Сниженная ставка НДС в размере 8% применяется для предприятий общепита, туристических предприятий и транспортных компаний. Сниженная ставка НДС в размере 5% или 0% применяется к продуктам питания. Освобождаются от НДС финансовые услуги, медицинские услуги, почтовые услуги, страховые услуги, аренда недвижимости, продажа недвижимости (если заявление на получение разрешения на строительство было подано до мая 2004 года). Кипрская компания, которая на территории Кипра занимается поставкой товаров или услуг, облагаемых НДС, обязана зарегистрироваться в органах НДС, если стоимость поставляемых ею товаров или услуг превышает 15 377 евро. Если компания занимается продажей товаров или услуг, облагаемых НДС по стандартной или сниженной ставке, на стоимость таких товаров или услуг начисляется НДС по предусмотренной законом ставке. Обязанность зарегистрироваться в органах НДС также возникает в результате отмены НДС за услуги, оказанные за рубежом. Кипрская компания должна рассматривать такие услуги, как если они были предоставлены ею на Кипре в процессе коммерческой деятельности, и учитывать их в целях НДС. Такой НДС, если имеет отношение к налогооблагаемым поставкам, увеличивает сумму возмещаемого входящего налога. Если Кипрская компания на Кипре поставила товары или оказала услуги только один раз, но стоимость этих товаров или услуг превышает 15 377 евро, тоже возникает необходимость регистрации Компании в органах НДС. Если Кипрская компания делает поставки товаров , которые облагаются нулевой ставкой НДС и если объем поставок превышает 15 377 евро, она все равно обязана зарегистрироваться в органах НДС, несмотря на то, что НДС фактически не начисляется. Кипрские компании учрежденные на Кипре и поставляющие товары или услуги за пределами Кипра, не обязаны регистрироваться в органах НДС. Тем не менее, Кипрская компания, которая не обязана регистрироваться по закону «Об НДС», при соблюдении некоторых условий (например, учреждение, регистрация или управление компанией на Кипре) имеет право добровольно зарегистрироваться в органах НДС и получить регистрационный номер НДС. Регистрация осуществляется со дня подачи заявления или с более ранней даты согласно запросу компании. Это правило позволяет Кипрским компаниям , учрежденным на Кипре, получать номер НДС фактически не начисляя НДС на свои товары и услуги. В результате, компания имеет право на возмещение НДС по приобретенным на Кипре товарам и услугам. Необходимо заметить, что Кипрские компании с налогооблагаемым оборотом менее 15 377 евро также могут зарегистрироваться в органах НДС. 3. 10% если получены компанией, которой принадлежит как минимум 25% капитала оплачиваемой компании. Тем не менее, если немецкий налог с корпорации на распределенную прибыль ниже чем на нераспределенную прибыль, а разница между двумя ставками равна 15% или более, налог у источника увеличивается с 10% до 27%. В остальных случаях ставка составляет 15%. 4. Налог у источника не должен превышать налог, которым облагается прибыль, из которой оплачиваются дивиденды. 5.5% если получены компанией, контролирующей менее 50% права голоса. 6. Если полученыкомпанией, контролирующей менее 10% права голоса, таким образом имеющей право на возмещение избыточно оплаченного в Соединенном Королевстве Авансового корпоративного налога (если контролирует более 10% права голоса, не имеет право на возмещение). 7.15% если получены компанией, контролируемой менее 10% права голоса. 8.0% на литературные, драматические, музыкальные или артистические произведения. 13.0% если оплачены Правительству другой страны по банковским кредитам, относительно продаж в кредит промышленного, торгового или научного оборудования или товаров и изделий. 18. Договор предусматривает налог у источника на дивиденды, но Греция не налагает налог у источника по своему местному законодательству. 20. Отсутствие налога у источника на процентный доход или по депозитам в банковских учреждениях. 21. Эта ставка применяется к компаниям, которым напрямую принадлежит как минимум 25% акционерного капитала компании, оплачивающий дивиденды. Во всех других случаях налог у источника составляет 10%. 22. Эта ставка не применяется, если оплата осуществляется в адрес кипрской международной компании резидентом Болгарии, которому прямо или косвенно принадлежит как минимум 25% акционерного капитала в Кипрской компании. 23. 10% на платежи технического, менеджерского или консалтингового характера. 24. Эта ставка применяется для патентов, торговых марок, разработок или моделей, планов, секретных формул или процессов, или к любому промышленному, коммерческому или научно-исследовательскому оборудованию, или к информации, имеющей отношение к промышленному, коммерческому или научному опыту. 25. 10% если дивиденды, выплаченные компанией, в которую бенефициар инвестировал менее 100.000 евро. 26. 7% если оплачено банку или финансовой организации. 27. 10% с процентов, полученных финансовой организацией, или когда они имеют отношение к кредиту под какое-либо промышленное, коммерческое или научное оборудование или товары. 28. Эта ставка применяется к любым авторским правам на литературные, драматические, музыкальные, художественные или научные работы. 10% применяется по отношению к промышленному, коммерческому и научному оборудованию. 15% применяется к патентам, торговым знакам, разработкам и моделям, планам, секретным формулам и процессам. 29. Эта ставка применяется к акционерам- физическим лицам не зависимо от доли участия в акционерном капитале. Компании, контролирующее менее 10% от голосующих акций также имеют право на эту ставку. клієнтам, які бажають оптимізувати свою міжнародну комерційну діяльність. Кіпр являє собою європейську державу з найбільш сприятливою податковою системою та має широку мережу угод про уникнення подвійного оподаткування. Нове законодавство, що набуло чинності з січня 2003 року , скасувало відмінності між місцевими компаніями та Міжнародними Бізнес Компаніями, (IBC), які утворили лише одну з форм Кіпрських компаній. Фізична особа вважається резидентом, якщо він/вона безперервно мешкає на Кіпрі, або на протязі одного або декількох періодів, що перевищують загалом 183 днів податкового року. Компанія є податковим резидентом (тобто постійно перебуває на Кіпрі), у разі, якщо управління та контроль її діяльності здійснюються з території Кіпру. Прибуток усіх кіпрських компані, що підлягає оподаткуванню, обкладається податком за ставкою 10%, за винятком судноплавних компаній(0% податку корпорації та податку на тоннаж). Компанії Кіпру, які отримували прибуток від діяльності станом на 31 грудня 2001 року, можуть обрати обкладатися податком у розмірі 4, 25% до 31 грудня 2005 року. Прибуток від дивідендів, які компанія отримує на Кіпрі в якості іноземної корпорації, звільняється повністю від оподаткування на Кіпрі,та не обкладається особливим податковим внеском на оборону у розмірі 15%, за умови, що компанії, яка отримує прибуток від дивідендів, належить,як мінімум, 1% акцій у компанії, що сплачує дивіденди. Однак це правило не застосовується, якщо більше 50% активів,які сплачує компанія, призводять до отримання прибутків від інвестицій, бо іноземний податок є значно нижчим, ніж податкова ставка на Кіпрі (нижче 5%).Більш того, дивіденди не вважаються за інвестиційний прибуток, коли їх було отримано від дочірніх підприємств. За Законодавством Кіпру, дивіденди повинні бути розподілені кожні два роки. У разі, якщо кіпрська резидентна компанія не розподілила свої дивіденди на протязі двох років,починаючи з початку податкового року, 70% нарахованого прибутку будуть вважатися за розподілені (нараховані дивіденди), та на них буде проведене нарахування 15% податкового внеску на оборону. Це правило застосовується при розподіленні дивідендів для акціонерів-резидентів. Суму нарахованих дивідендів буде зменшено сумою фактично сплачених дивідендів,які було розподілено на протязі двох років з прибутку відповідного податкового року.У випадку, коли фактичні дивіденди будуть сплачені після розподілення ‘’нарахованих дивідендів’’,податковий внесок на оборону буде нараховано тільки на додатково сплачені дивіденди. Відсотки, які було отримано з активів у процесі комерційної діяльності,а також відсотки, які тісним чином пов’язані з комерційною діяльністю, обкладаються податком по ставці 10%.Пасивний відсотковий прибуток (такий, що було нараховано не в процесі діяльності комерційної компанії), нарахований або отриманий Кіпрськими резидентами, обкладається податковим внеском на оборону по ставці 10%. Процентний прибуток від за ощадних облігацій та облігацій розвитку, а також відсотковий прибуток,напрацьований фондом заощаджень, підлягає оподаткуванню внеском на оборону по спеціальній ставці 3% (замість 10%). Податком на оборону обкладаються прибутки, які були отримані від дивідендів та відсотків таким чином, який було зазначено у вище наведених пунктах. Податок з джерела не утримується, коли робиться виплата дивідендів, процентів та роялті фізичним та юридичним особам, які не є не резидентами Кіпру, не залежно від того, існує податкова домовленість між Кіпром та країною постійного мешкання отримувача прибутку, чи ні. Прибуток, який було отримано від постійного представництва за кордоном, повністю звільняється від корпоративного податку, за винятком тих випадків, коли більше 50% діяльності виплаченого прибутку компанії призводять до отримання інвестиційного прибутку, бо іноземний податок є значно нижчим, ніж податкова ставка на Кіпрі (як мінімум на 5%). Прибуток, отриманий від продажу цінних паперів, який було отримано фізичними особами-резидентами Кіпру,а також компаніями, не оподатковується, незалежно від того, є прибуток результатом приросту капіталу чи ні. Це чинне привило дозволяє холдинговим компаніям вести продаж акцій своїх дочірніх підприємств на Кіпрі при повній відсутності податків,а також дозволяє продавати акції самої Кіпрської холдингової компанії без оподатковування на Кіпрі,не залежно від діючих положень відповідної податкової угоди. Відповідно до положень нового закону № 118(1) 2002 року, який набув чинності 1 січня 2003 року, до цінних паперів належать акції, облігації акціонерних спілок, державні облігації, установчі акції та інші цінні папери компаній або інших юридичних осіб, які були засновані на Кіпрі або за кордоном, а також опціони на такі цінні папери. Це законодавство має безпосереднє відношення до операцій купівлі та продажу акцій. Воно передбачає нульову ставку податку з прибутку від продажу акцій, які були придбані до чи після 1/1/2003 року у компанії за кордоном, коли такий продаж було здійснено після 1/1/2003 року, впливу на вартість акцій це не має. Приріст капіталу від продажу нерухомості за межами Кіпру не підлягає оподатковуванню, та не оподатковується на Кіпрі податком на приріст капіталу. Приріст капіталу від продажу нерухомості на Кіпрі підлягає оподатковуванню по ставці 20%. Звільнення від податку на приріст капіталу від продажу цінних паперів не буде застосовано, якщо на продажні акції Кіпрської компанії було зареєстровано нерухомість. У разі продажу акцій такої компанії, приріст капіталу буде обкладено податком по ставці 20%. Збитки можуть бути перенесені у наступні податкові періоди та бути відраховані з прибутків наступних періодів. Застосування вище наведеної директиви на Кіпрі скасовує податок з джерела дочірнього підприємства на дивіденди, які воно виплачує своїй материнський компанії-резиденту ЄС, у разі коли материнський компанії належить більше 1% акцій у дочірньому підприємстві на протязі невизначеного терміну часу (спершу ця директива ЄС передбачала 25% акцій та строковість дії в декілька років). У діяльності буде позначено, що податковий кредит буде видано на Кіпрі, на будь-який податок, податок на оборону та податковий податок включно, на суму податку, сплаченого у іноземній державі, включаючи базовий місцевий податок з корпорації, що було сплачено дочірнім підприємством або податок до джерела походження, який було утримано при виплаті дивідендів на Кіпрі. Положення даного законодавства дозволяють компаніям у рамках однієї й тієї ж групи переводити збитки зі збиткових компаній на баланс прибуткових компаній, у тому разі, якщо усі компанії групи являються резидентами Кіпру. Для того, щоб дві компанії були визнані членами однієї спілки, обидві вони повинні бути дочірніми підприємствами третьої компанії на 75%,або одна компанія повинна бути дочірнім підприємством іншої на 75%, у тому розумінні, що холдинговій компанії прямо або опосередковано належить 75% або більше акцій,та вона прямо або опосередковано має право на 75% або більше від прибутку та активів у разі розпуску дочірнього підприємства. У податковому законодавстві Кіпру існує положення Директиви ЄС про реорганізацію (злиття, поділ, передачу активів та обмін акціями, об’єднання компаній без податку з корпорації, податку на приріст капіталу й трансферних зборів), яке використовується у вельми ліберальний спосіб. Правила по реорганізації застосовуються до фізичних та юридичних осіб,членів ЄС та третіх країн світу. Відповідно до положень статей 354А-354Р Кіпрського закону “Про компанії”, Гл.113, кіпрські компанії та іноземні компанії,що розташовані на Кіпрі, можуть змінити доміциль на іншу іноземну юрисдикцію, що дає можливість іноземним холдинговим компаніям перенести свій доміциль на Кіпр, не завдаючи проблем загальній податковій структурі. Компанії Кіпру, як і Кіпрські холдингові компанії, можуть вийти на Фондову Біржу Кіпру або інші міжнародні біржі, за умови, якщо в Установчий договір кіпрської компанії буде внесено потрібні зміни, що є необхідні для публічної компанії. Для виводу акцій Кіпрської публічної компанії на біржу й для підготування необхідних документів використовуються послуги брокера. Законодавство Кіпру не передбачає правила слабкої капіталізації, таким чином, для компаній Кіпру не передбачене мінімальне співвідношення позики та власних активів. Це дозволяє Кіпрський компанії вільно отримувати позику та відраховувати сплачені проценти з позики материнській компанії. У Законодавстві Кіпру відсутня концепція підконтрольної іноземної компанії. Було прийняте рішення Європейського Суду, з якого правило про підконтрольність іноземної компанії не застосовується, коли дочірнє підприємство з країн ЄС веде у даній країні реальну комерційну діяльність. В такому випадку використання Кіпрської компанії є вигідним для підприємців у якості дочірнього підприємства, або Кіпрської Холдингової компанії — у якості материнської компанії, до діяльності якої неможливо віднести прибуток, що було отримано від неоподаткованої юрисдикції або від пасивної діяльності. Державне мито сплачується, коли укладається угода, оформлюються документи та ін., які мають причетність до активів на Кіпрі, незалежно від того, де були підписані такі документи або контракти. Угоди стосовно реорганізації та контракти, які мають відношення до активів або бізнесу за кордонами Кіпру, звільняються від сплати державного мита. Стандартна ставка ПДВ на Кіпрі становить 15%, зі зниженою ставкою у розмірі 8% для питань, пов’язаних з ресторанним бізнесом, обслуговуванням, туризмом й діяльністю транспортних компаній, знижена ставка в розмірі 5% або 0% діє для постачальників харчових продуктів, а також від ПДВ звільняються фінансові послуги, лікарняні та медичні послуги, поштові послуги, страхові послуги, оренда нерухомого майна та розпорядження нерухомим майном, продаж нерухомості (якщо заяву на отримання дозволу на будівництво було подано до травня 2004 року). ПДВ обкладаються товари та послуги на Кіпрі, а також імпорт товарів на Кіпр. ПДВ нараховується на всі продані на Кіпрі товари та надані на Кіпрі послуги, які не потрапляють під виключення (операції, оподатковані ПДВ). Місце продажу товарів визначається місцем розташування товарів на момент доставки покупцеві. Послуги вважаються наданими на місці, де знаходиться особа, що їх здійснила(базове правило), за винятком спеціальних випадків. Спеціальні правила застосовуються, наприклад, до рекламної діяльності, прав на інтелектуальну власність, деякі професійні послуги, у сфері телекомунікацій. Послуги в цих сферах діяльності вважаються наданими в місці, де перебуває користувач послуг. звичне місце проживання знаходиться у даній країні ( для юридичних осіб це країни їх реєстрації) або вона має такі установи в цій країні та в іншому місці, але їх створення більш тісно пов’язані з постачальною діяльністю. Таким чином, в залежності від характеру й належності послуг, а також місцерозташування, Кіпрська Компанія може підлягати реєстрації в органах ПДВ на Кіпрі, або не мати такого права та зобов’язаннь та таке реєстрування. Кіпрська компанія, яка займається на території Кіпру поставкою товарів чи послуг, що обкладаються ПДВ, зобов’язана зареєструватися в органах ПДВ, якщо вартість поставлених нею товарів чи послуг перевищує 15 377 євро. Якщо компанія займається продажем товарів або послуг, що обкладаються ПДВ за стандартною або зниженою ставкою, на вартість таких товарів або послуг нараховується ПДВ за передбаченою законом ставкою. Обов’язок зареєструватися в органах ПДВ також виникає в результаті скасування ПДВ за послуги, надані за кордоном. Кіпрська компанія повинна розглядати такі послуги, якщо вони були надані нею на Кіпрі, в процесі комерційної діяльності, і враховувати їх у цілях ПДВ. ПДВ, яке має відношення до оподатковуваних поставок, збільшує суму відшкодованого вхідного податку. Якщо Кіпрська компанія поставила товари або надала послуги на Кіпрі тільки один раз, але вартість цих товарів або послуг перевищує 15 377 євро, теж виникає необхідність реєстрації Компанії в органах ПДВ. Якщо Кіпрська компанія робить поставки товарів, які обкладаються нульовою ставкою ПДВ, і якщо обсяг поставок перевищує 15 377 євро, вона все одно зобов’язана зареєструватися в органах ПДВ, незважаючи на те, що ПДВ фактично не нараховується. Кіпрські компанії, які були засновані на Кіпрі і постачають товари або послуги за межами Кіпру, не зобов’язані реєструватися в органах ПДВ. Тим не менш, Кіпрська компанія, яка не зобов’язана реєструватися за законом «Про ПДВ», при дотриманні деяких умов (наприклад, установа, реєстрація або управління компанією на Кіпрі) має право добровільно зареєструватися в органах ПДВ та отримати реєстраційний номер ПДВ. Реєстрація здійснюється з дня подання заяви або з більш ранньої дати згідно із запитом компанії. Це правило дозволяє Кіпрським компаніям, заснованим на Кіпрі, отримувати номер ПДВ, фактично не нараховуючи ПДВ на свої товари та послуги. Як результат, компанія має право на відшкодування ПДВ по придбаним на Кіпрі товарах і послугах. Необхідно зауважити, що Кіпрські компанії з оборотом оподатковування менш 15 377 євро також можуть зареєструватися в органах ПДВ. Кіпрські компанії, які були засновані на Кіпрі і, крім іншого, постачають такі послуги, що не обкладаються ПДВ, не зобов’язані і не мають права реєструватися в органах ПДВ. Це такі компанії, які надають фінансові послуги, послуги страхування та перестрахування, включаючи операції, що здійснюються страховими агентами, брокерами та агентами брокерів. Не обкладаються ПДВ отримані відсотки і орендна плата при оренді нерухомості. Фізична особа вважається податковим резидентом Кіпру, якщо вона проживає на Кіпрі більше 183 днів у податковому році. Якщо фізична особа є податковим резидентом Кіпру, прибутковим податком обкладається прибуток, нарахований або виплачений на території Республіки Кіпр і за межами Республіки. * Для дивідендів, відсотків і роялті, отриманих (Rcvd) на Кіпрі, в таблиці наведено ставки податку, який утримується в країнах у джерела виплати, які підписали договір про уникнення подвійного оподаткування з Кіпром з доходів, які будуть отримані на Кіпрі. Прибутковий податок, сплачений за кордоном кредитується відносно будь-якого податку, що підлягає сплаті на Кіпрі, якщо такі існують. Крім того, на Кіпрі немає податку для дивідендів, отриманих від іншої кіпрської компанії, на виплату дивідендів, отриманих від іншої іноземної компанії, якщо Кіпрська компанія — отримувач володіє 1% або більше її акцій, або на дивіденди, отримані від іноземних компаній з постійним представництвом на Кіпрі. ** Виплата дивідендів і відсотків, сплачених з Кіпру нерезидентам, звільняється від податку на Кіпрі. Сума відсотків, сплачених з Кіпру включає 15% прибуткового податку, якщо він не підпадає під звичайну діяльність компанії. Роялті, які виплачуються з Кіпру для використання за межами Кіпру, вільні від податку на Кіпрі, але включають 10% прибуткового податку, якщо вони призначені для використання на Кіпрі. *** Вірменія, Киргизстан, Молдова, Таджикистан, Узбекистан та Україна вважають себе зв’язаними договором, підписаним з колишнім СРСР. Ціни вказані тільки на договори Кіпр / СНД. 1. 15%, якщо компанія-одержувач контролює менше 25% голосуючих акцій або будь-якої особи. 2. 15%, якщо виплати отримані особою, яка контролює менше 10% голосуючих акцій. 3. 10%, якщо компанія-одержувач володіє не менше 25% від капіталу компанії, що платить. Однак, якщо німецький корпоративний податок на розподілений прибуток нижче, ніж на розподілений прибуток, і різниця між двома ставками становить 15% або більше, прибутковий податок збільшується з 10% до 27%. У всіх інших випадках він становить 15%. 4. Податок не повинен перевищувати прибуток, обкладений податком, з якого виплачуються дивіденди. 5. 5%, якщо виплати отримані особою, яка контролює менше 50% голосуючих акцій. 6. Якщо компанія-отримувач контролює менше 10% голосуючих акцій, таким чином, вона має право на компенсацію надлишкових ACT, які віднімаються у Великобританії (якщо вона контролює більше 10% голосів, то не має права на повернення). 7. 15%, якщо управління компанії-одержувача має менш ніж 10% голосуючих акцій. 8. Нуль на літературні, драматичні, музичні або художні роботи. 9. Нуль роялті для літератури, мистецтва чи науки, кіно і телебачення. 10. 5% роялті на кіно і телебачення. 11. Ніл, якщо виплати робляться до уряду або для гарантії експорту. 12. Нуль, якщо виплати робляться до уряду іншої держави. 13. Нуль, якщо виплати робляться до уряду іншої держави, щодо банківських кредитів, у зв’язку з продажем у кредит будь-якого промислового, комерційного або наукового обладнання або якого-небудь товару. 14. Нуль, якщо виплати робляться до уряду, банків та фінансових інститутів. 15. Нуль, якщо виплати – це роялті на літературні, художні або наукові праці, включаючи фільми, телевізійні фільми і радіомовлення. 16. 10% в області авторського права на твори літератури, мистецтва або науки, включаючи кінематограф фільми і фільми або плівки для радіо-і телевізійного мовлення. 17. Якщо інвестиції менше, ніж € 200,000, дивіденди обкладаються податком в 15% від прибуткового податку, який зводиться до 10%, якщо компанія-одержувач контролює 25% і більше компанії-платника. 18. Договір передбачає податки на дивіденди, але Греція не накладає жодного податку відповідно до свого законодавства. 19. 5% роялті на плівки (окрім фільмів, що мають транслюватися по телебаченню). 20. Немає податку на відсотки або депозити в банківських установах. 21. Ця ставка застосовується до компаній холдингу безпосередньо не менше 25% від статутного капіталу компанії, яка сплачує дивіденди. У всіх інших випадках податок становить 10%. 22. Ця норма не застосовується, якщо виплата проводиться суб’єктом господарювання Кіпру, міжнародних резидентом Болгарії, які володіють прямо або побічно принаймні 25% від статутного капіталу особи Кіпру. 23. 10% для виплат технічних, управлінських чи консультативних природ. 24. Ця ставка застосовується щодо патентів, товарних знаків, креслень або моделей, планів секретних формул або процесів, або будь-якого промислового, комерційного або наукового обладнання або за інформацію щодо промислового комерційного або наукового досвіду. 25. 10%, якщо дивіденди сплачуються компанією, в яку фактичний власник вклав менше € 100,000. 26. 7% при оплаті в банк або фінансову установу. 27. 10% на відсотки, отримані фінансовою установою або коли вони відносяться до продажу в кредит будь-якого промислового, комерційного або наукового обладнання або товарів. 28. Ця ставка застосовується для будь-якого авторського права на літературні, драматичні, музичні, художні або наукові роботи. 10% ставка застосовується для промислового, комерційного або наукового обладнання. 15% ставка застосовується щодо патентів, товарних знаків, креслень або моделей, планів секретних формул або процесів. 29. Ця ставка застосовується до окремих акціонерів, незалежно від їх відсотка акцій. Управління Компанії з менш ніж 10% голосуючих акцій мають право на цей показник. 30. Застосовується до будь-яких відшкодувань за користування або за надання права користування будь-яким авторським правом на літературні твори, твори мистецтва або науки (в тому числі кінематографічні фільми, диски або касети для радіо-чи телевізійного мовлення), комп’ютерні програми, будь-який патент, торгову марку, дизайн або модель, план, секретну формулу або процес, або за інформацію щодо промислового, комерційного або наукового досвіду.